With the weather finally warming up we see grass starting to show and tree buds starting to grow. You might be thinking that it is time to remove some of that unwanted clutter that has accumulated through the winter. Here at Panadew, we have come up with some quick helpful tips that will help you along with the process. The City of Kingston has many donation centres that will accept an assortment of items. We have included a few of the options below. 342 Patrick Street, 472 Division Street, 183 Weller Avenue. 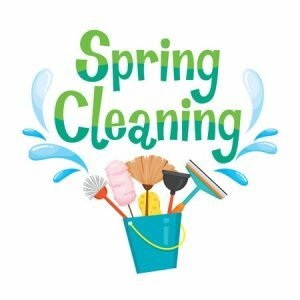 As a treat to yourself, why not consider one of the many companies that offer home cleaning services? They can help you save time and energy when getting your home ready for the Summer ahead. If you would like us to refer you to great local companies please give us a call any time. It can make a big difference to get rid of all of those items you have been meaning to throw away. These unwanted items can clutter up your home and yard. There are several junk removal companies that can pick these items up for you and take them away worry-free!